NDP parliamentary leader Guy Caron says a transparent process is needed when it comes to government subsidies for companies like Bombardier, so that massive job cuts can be avoided. It's a Bombardier bombshell — the troubled company announced this week it's slashing 5,000 jobs, half of which will be in Quebec. The Montreal-based company said the measures will result in $250 million in annual savings. It also announced it will sell its Q Series turboprop aircraft program to Longview Aviation Capital for $300 million. The job cuts come come after hefty public investments by the federal and Quebec governments, and backlash over executive bonuses. The NDP's parliamentary leader and Quebec MP Guy Caron says he's frustrated and that something needs to change when it comes to the government lending money to Bombardier and other companies. "From time to time, there might be a justification to actually help companies, especially in a sector as important as aeronautics," he told Chris Hall. "The problem is when you're not attaching any conditions in terms of job protection. If you're lending money, you want to have some guarantees that it will stay in the country, that it will help workers in the country." 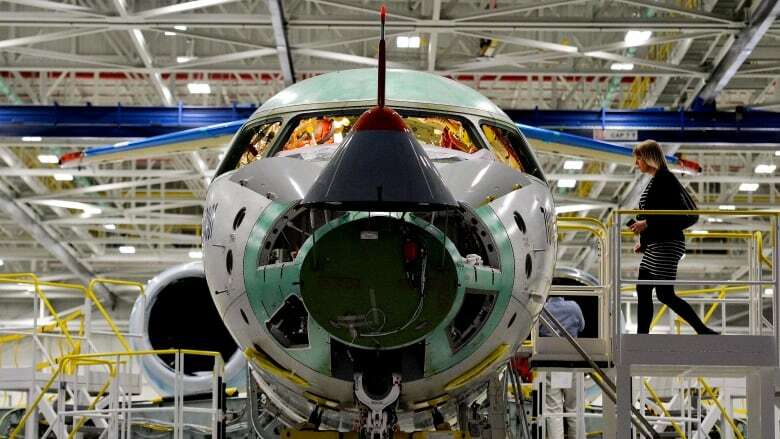 Last year, the federal government announced $372.5 million in interest-free loans to Bombardier. The year before, the company received a $1.2 billion investment for the CSeries passenger jet program from the Quebec government in exchange for a 49.5-per-cent stake. Caron says at this point, there's little the government can do about Bombardier, but there are steps he wants to see set up for the future. "What I want government to do is actually develop a process, because this isn't the first time the government lends or gives subsidies to a company," he said. "But we need a transparent process in which we can understand why it is doing so, and what is expected." As for Bombardier itself, Caron called the company's decision to cut jobs "a stain on Bombardier's reputation." "When the government lends you money, it's your responsibility to spend it well," he said.